It looks like a blackboard, the matte dark gray background covered with swooping loops like a strange exercise in cursive writing. 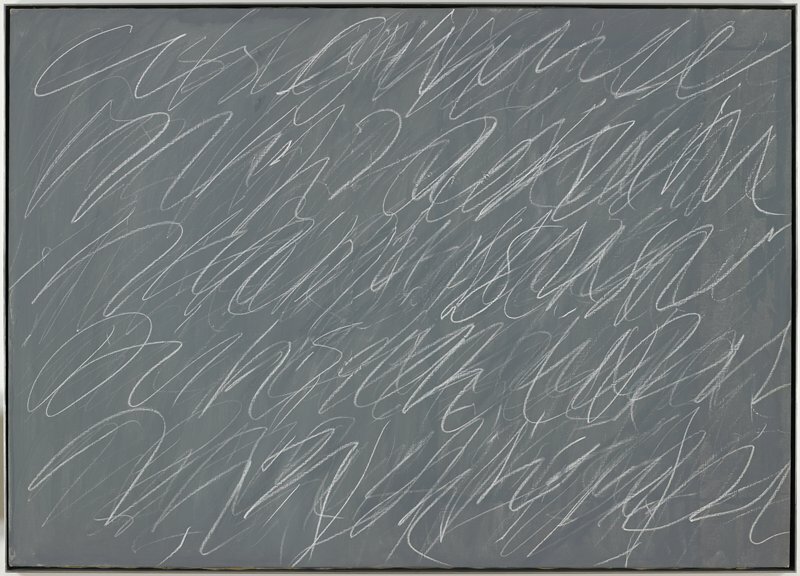 Inspired by the flow and process of writing, Cy Twombly replicated the mechanical effort required to learn cursive. Put yourself in his position: he likely stood directly in front of the large canvas, spanning it with his body as he stretched to make the lines reach across without breaking. The result is an intensely physical and rhythmic series of abstract forms linked to bodily gesture.